Simikot is situated in the far north- western part at Karnali zone of Nepal, also boarding by India and Tibet independent region. It is the headquarter of Humla district due to geographic form is one of the inaccessible and remote area in Nepal. The trekking route goes beside with Dolpo and Mugu district in the Trans- Himalaya region. Perhaps we need to walk through remote village with incredible traditional culture and untouched nature. This region is unaffected by modernization and protected nature prettiness, tradition and culture. Only possible to reach by scheduled flight from Kathmandu. There is nonstop local bus service from Kathmandu to Nepalgunj and then flight to Simikot. We can use alternate route for this trip, flight from Surkhet to Simikot but flights are not regular only sometimes. The local people most of the time, they charter helicopter from Surkhet to the delivery of daily life foods, medicines and other important materials and import export products. 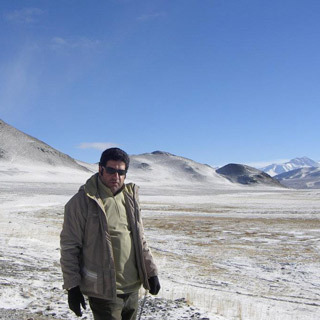 The Simikot is very popular access point for visit to Manasarovar and Mount Kailash journey. The large number of Indian pilgrimage visitor makes helicopter charter flight to Simikot and starts journey of Kailash. There is no road access by bus but we should walk from Sanfebagar in Accham district, its takes around ten days through a hike. The trekkers can use alternate walk from the another district of Bajura and the local Kolti airport, however the visitors should be wait longer for catch the next flight to Simikot. There is no tea house amenities like other trekking area in Nepal, thus we need to arrange camping trek. For the Simikot, we can use another trekking route but need to walk one and two week through the Limi valley and other one is three week trip with Nyin to Limi valley. From there, the trail goes towards south beside with the bank of Humla Karnali River bottomless below Simikot and towards east will get several wonderful villages. After ups and downs towards northwest, brings us to Humla Karnali River valley and ultimately Tibet. If we walk more northerly path, its takes us to the remote and inhabited Limi valley. From there, could be see a beautiful Saipa Himal (7031m) is one of the tallest mountain in this area, meadow valley with group of Yaks and sheep makes our trek excellent. If visitors want to know more about century history of Tibet, this wonderful trek will be best. The unique culture and tradition still conserved from centaury. The local people are staying in stone house is plastered by mud and making their source of revenue with animal husbandry. They are still practicing Bonpo Buddhism, each village have Mani walls, Chortens, Monasteries. There are also can see colorful Buddhist prayer flag has been flirting each house and quite more in the mountains. The Nyinba, Khampa, Limipa and Bynsi are main tribes of Humla and still they are believe to Polyandry wedding system in the community. The trekking begins from Simikot with an incredible scenery flight following the beautiful Himalayan ranges. After landing to small airstrip in Simikot, we starts trip and then hike up to Nara La pass (4560m) with the ethnic typical local villages namely; Dharapori, Kermi, Yalbang, Yuchu, Tumkot, Yari and then moving ahead to Limi valley from Hilsa (3674m) compose a round back to Simikot via Nyalu La (5001m). The Limi valley is inaccessible extending from Hilsa hill pass to another hill pass of Chang La between Tibet and Nepal. During the trip, we spend a night in the wilder camp are memorable stay with unseen treasure. The Manewall, Tiljung, Halji, Jang, Tholing and Talung camp are awesome to stay throughout the trip. These areas are not affected by modern life and still believed to be the current form of the mythological Shangri- la. Simikot to Hilsa, we can complete through the Teahouse or Home stay trek by very essential facilities. The trip would be camping and we provide you all tended accommodation, necessary staffs and porters and your meals prepared by experience kitchen team during the trek. Simikot is a restricted region, therefore you should take a special trekking permit through authorize trekking agency. We at Nepal Glacier Treks are pleased to organize Humla Simikot Trekking by professional and licensed holder guide according your holiday plan and requirements. You should to be at list two people require in a group and experience trekking guide for this trek. It is rain shadow region; there is not as much of rain during the monsoon season, thus June and July as well good time for this trekking. However, mid of September to November (autumn) and March to May (spring) are best time for Simikot Trekking. Please join with us for your lifetime experience of wilderness Himalayan trekking. Day 02Pre- trip meeting and Kathmandu valley sightseeing On this day, after breakfast in the morning, at around 8am, we call a pre-trip meeting at your hotel in Kathmandu and introduce your trek leader/guide. Please get this opportunity to ask questions about your trek, tour and important things. In the meeting, please make sure you bring passport, three copies of passport-size photos, and a readable copy of your travel insurance policy. During this meeting and please clear the due balance. Today, we will do paper work and take a special permit for this trek because it is a restricted area of Nepal. 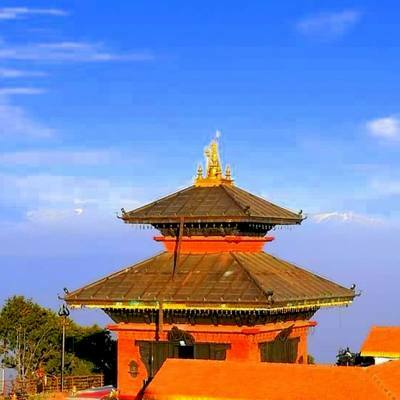 After meeting we will begin our Kathmandu valley sightseeing including the cultural and historical site of Kathmandu Durbar Square, Patan Durbar Square and largest legendry Buddhist stupa of Swyambhunath and Bouddhanath, and very famous hindu temple of Pashupatinath which are listed in world heritage sites by UNESCO. If we have plenty time, will visit Bhaktapur Durbar Square- it is city of Devote and back to hotel then have a pleasant stay at overnight in Kathmandu. Day 03Flight to Nepalgunj On the following day, we will fly from Kathmandu to Nepalgunj. Its takes around 45 minutes flight will provide us spectacular mountain views. There is no direct flight to Simikot from Kathmandu, therefore we should stay at least one overnight in Nepalgunj before catch a short flight to Simikot. Nepalgunj is a commerce center for both the local areas and those people who live in high mountains. India border is 8km far from here, thus culture and traditions are similar like Indian people. This is located in lower Tarai region and temperature will be high, depend on the weather like winter chilly cold and summer unexpected hot. Overnight stay at local hotel. Day 04Flight to Simikot (2,950m) from Nepalgunj Today we will take another short flight from Nepalgunj to Simikot (2,950m). It takes around 45 minutes flight will provide us amazing views of mountain peaks and many natural sites. After landing in a small airport and it is just a graveled runway however it has preparation to turn into blacktop soon. We set our camp in Simikot and trek preparation, the trekkers feels different like seclude world due to the unexpected get higher in altitude and reduce in high temperature. 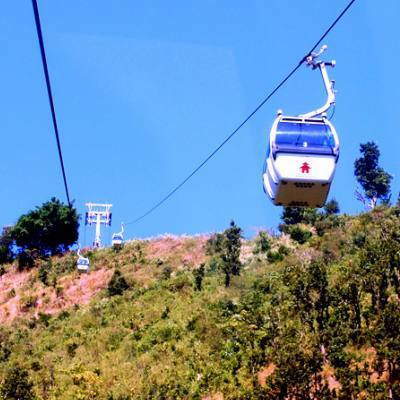 The high mountain atmosphere with fresh wind makes us gulp of air cool and experience exciting. Overnight stay at tented camp. Day 05Trek to Dharapuri (2,300m) 4- 5 hours We head towards Dharapuri from Simikot in the morning. Passing a little pass, the trail goes down to Maj Gaun. The entire trail goes through the pine forest and we can see local people wearing their own traditional dress. On the way, we can get see local Buddhist and Hindu people. There are no road, thus people use mules and Yaks for transportation mode in this region. After passing Maj Gaun, we will get rough trail and ups and downs with lush green scene, finally reach the camp. Overnight stay at tented camp. Day 06Trek to Kermi (2670m) 5- 6 hours Today, the trek will head through the Karnali river side with strange one for various in that the path keep changing altitude surrounded by problems of a combine hundred meters. Sometimes the trekking trail goes through the slight valley of Karnali river with rocky slopes that we must find our self-walking right route at the bank of the river. The local people grow rice, potatoes, barley, bean, and buckwheat and liability animal husbandry. After 30 minutes walking will enjoy hot spring at Kermi and also get chance to explore Chorten and monasteries with incredible carved Mani wall. We can see very popular monasteries namely, Laki Gompa and Lhundrup Choeling Gompa relatively 45 and 30 minutes’ walk from camp. During the night time, we can hear strange howl of Jackal and hyenas, it might be proves that we are in the lap of the wilder. Overnight stay at tented camp. Day 07Trek to Yalbang (3020m) 4- 5 hours On the following day, expect a small pass the trails is easy than previous day with good scene beside the fields and different types of Lizards and other nature beauty. Passing big iron suspension bridge on the Sali River and trail goes down with beautiful rhododendron and pine trees over your head. On the way, trekkers can see a mules, Yaks are passing here and there cause is the main transportation of this area. The local people are roaming for trade purpose from Simikot to Nyinba and Taklakot valley. It is the main trade center through the Tibetan border. After ups and downs will reach at Yalbang village, there are quite places for explore. The trekkers may visit to Namkhakhyung Dzong Gompa is beautiful craving with ancient building and intonation in wall. This is one and only biggest monastery around the region which is house of 130 Buddhist monks. This monastery was originated in 7th century according to the legendary of Guru Rimporche who is originally come from oldest Buddhist family, the Nyingmapa family. There are also visit to inside the monastery where will see huge statue of Lord Buddha and other small statue of Guru Rimporche. There are also teach Buddhism and every morning and evening praying ceremony in the monastery. The visitor also be participated for praying but might be silent. During the night time, visitors would be hear sound of hyenas and jackals from the camp. Overnight stay at tented camp. Day 08Trek to Tumkot (3380m) 4- 5 hour On the following day, we head towards Muchu or Tumkot with rocky mountain and leaving Karnali River below. Today, more trails is flat but visitor might be passes by zigzag trail and choose right one. The altitude will change slowly every half an hour walking and trails goes alongside greenery, bushes, pine forests and huge rocky hillocks. After crossing a big wooden suspension bridge over the Karnali River, we will climb to rocky mountain and the trails goes until get deep canyons. From there, the trail descent to army camp with seeing people carrying the sacks on their back. After strolling ups and downs, it takes around three to four hour reach to Muchu village. From there, we head towards Tumkot village; it takes around an hour. The village offers us many wonderful places to explore like Dhungkar Choezom monastery, rocky mountain and other stunning views. Overnight stay at tented camp. Day 09Trek to Thado Dunga (3750m) via Yari (3700m) 4- 5 hour Today the trail goes continue to uphill and steep with similar climate, flora and the countryside. The climate will change after few hour hiking and landscape develops rockier as well as unfertile. The trail passes by green pines and junipers trees then visitor have ability to see of under manufacture trail. The trekkers will get one of the beautiful village of Panipalwang where will see some teahouses. This place is a good for the lunch break and from here after an hour will reach to Yari or Thado Dunga. We will visit some hour there and back to camp then having dinner at tented camp. Overnight stay at tented camp. Day 10Trek to Hilsa (3720m) via Nara La pass (4560m) 6- 7 hour The trail is more difficult than previous days and trekkers need to cross Nara La pass (4560m). From there trees are disappear and begins to see waterless marine land with wonderful countryside which is looks like more Tibet. During the day, visitor will see mules and yaks moving here and there on the trail. The trail is harder from Thado Dunga with steeper and might be see some snow on the way as first time of trek. From where trekkers can enjoy with seeing lots of stones, looming Buddhist prayer flag is sign of good luck. The trekkers also will captivate the magnificent view of Tibet one side and stunning view of Yari village below. An incredible landscape with unfertile mountains in different colors will see as far as visitors. From there remaining trail is an unbalanced descent until Nepal and Tibet border then will get two additional trail but we need to choose right and safe one which take us longer through dirt road with steep short curt. Overnight stay at tented camp. Day 11Trek to Manepeme (3900m) 5- 6 hour On the following day, leaving Hila and trek start after crossing the iron bridge on the Karnali River; sometimes trekkers get more donkey and visitors. Then trails goes alongside a narrow windy path until main higher hill route. Again trail moves towards Manepeme through the Karnali River, the trail is quite up and down until camp. The trekkers will enjoy with amazing countryside, green forest and Unfertile Mountain under the trail thus visitors won’t feel tired on this trip. Overnight stay at tented camp. Day 12Trek to Til (4000m) 5- 6 hour Today also climb up continue, after walking around two hour trekkers need to choose a small track that brings same level and wider trail then start moving up rapidly. This trail bring to very old meditation cave namely Ya Yip Phuk is quite famous around this valley. The trail goes along with green lush plants and wild juniper trees. The trail moves continue up until at Lamka La pass (4300m), then it moves down to Til where will see beautiful chortens (stupas), Gompas (monastery), white building with some retreat houses. From September to October this valley looks more bright yellow color with wonderful snow mountain behind travelers. The travelers will see their traditional culture, people lifestyle is looks like Tibetan people. The preserve prior Tibetan culture and they wear own traditional dresses, men dress a long thick brown coat with one sleeve down and women dress a long blue or brown with colorful apron which is made from yak wool, after traveling Til valley then move to camp. Overnight stay at tented camp. Day 13Trek to Halji (3660m) 3- 4 hour Today, the trek will less and smooth walk but more fun. After walking three to four hour will get Halji village offers incredible places to visit. The trekkers get huge opportunity to stroll around the village and sightseeing around the monastery. There are visitors also can see mountain goat, snow leopard, thar, deer, blue sheep and Himalayan treasures. The track moves through the huge Mani walls and chortens which is built by many stones with holy Buddhist mantras. The Rinchenling Gompa is built in 14th century by Kagyugpa family is very famous in this region. The mail hall is well decorated where is Lord Buddha sited and other smaller statue of Kenjur (scripture of the Buddhist), colored masks and costume are used in the separate culture celebrations. There are no charge to enter the monastery but would be pay NPR500 for the photographs. Visitors can stay either teahouse or tented camp. Day 14Trek to Jang (3930m) 4- 5 hour Jang is the third and last village of Limi valley, we need to walk around five hour to reach Jang village. The trail goes through the bank of Limi River and trek relatively will relax. This village is also far from modern life as other village and they follow Tibetan culture and tradition. The friendship of Limi River makes every footstep wonderful and surprises in the every single second. There is one can visit beautiful monastery after paying NPR500 which is really amazing around the Limi valley. Overnight stay at tented camp or teahouses. Day 15Trek to Talung (4370m) 7- 8 hour Today’s trek will be longer around seven to eight hour walk from Jang village. The trail head towards Talang through wilderness path where no settlement houses with most wonderful countryside. The wilder trail will be harder and need to cross a few wooden bridges over the small stream and big river. And remain trails are moves steady with slowly up until Talang village. After passes ups and downs will get beautiful village of Talang. Overnight stay at tented camp. Day 16Trek to Shinjungma (3620m) via Nyalu la pass (4940m) 7- 8 hour The treks will be longer and have to cross a highest pass of Nyalu La pass (4940m). The trail goes up with narrow track is an adventure that one even though, trekkers will enjoy with wonderful flora and fauna. From there visitor can see little snowy trails, spectacular mount views, Humla and Tibet border and also glimpse of mount saipal (7031m) and mount kailash (6714m) that makes memorable trip. After taking beautiful photographs on the top and remaining trail goes down from the pass. The elevation will go down and get the tranquil Selma Tso Lake. Then trail continue descending with slope to Shinjungma village. Where camp will be set for spend overnight, flora and climate will change much more and get a Sali River. Overnight stay at tented camp. Day 17Trek to Kermi (2670m) 7- 8 hour Today will be reach in Kermi from Shinjungma village which is our trek started point of Simikot. After walking seven to eight hour will get settlement village of Kermi with 3000m below elevation after the trip. The trekkers will get pine and birch trees, Sali River on the following day. The trail goes to the Karnali River and need to head eastside. The visitors can take relax in the hot spring and dip tired muscle into the hot pound before moving the camp. Overnight stay at tented camp. Day 18Trek back to Simikot 6- 7 hour The trek start with a little ups and downs through the road and countryside from Kermi village. The trail goes up smoothly to Darapuri and MajGaun will enjoy much more there then trail turn destructive. Walking around two hour up the hill to reach one of the pass 3000m from the Karnali River. After walking half an hour from there and will get Simikot; trekkers will get hot water proper shower after long time and visiting around local areas. Overnight stay at tented camp. Day 19Fly to Nepalgunj and Kathmandu from Simikot After spending 18 days in the Limi valley, the trek will be very close to finish. We will be back to Kathmandu via Nepalgunj by flight from Simikot in the early morning. We will take two flight Simikot to Nepalgunj to Kathmandu, it takes long time to reach Kathmandu but do not worry because flight will give us wonderful natural and Himalayan views during the fly. After landing at domestic airport in Kathmandu will us transfer to hotel and check in and remaining time will stroll around Thamel or other places for shopping purpose. Overnight stay at hotel in Kathmandu. Day 20Leisure day in Kathmandu This is very important for us, sometimes flight can be delay cause weather conditions, technical problems and other issues. If timely arrived at Kathmandu, this day will be good for explore new area in Kathmandu valley. On the following day, getting prepared for your tomorrow’s flight, souvenir shopping around thamel area, There are so many beautiful places to visit, which is we can suggest you for visit and in the evening will celebrate our success trip of Simikot trekking. Overnight stay at hotel in Kathmandu.